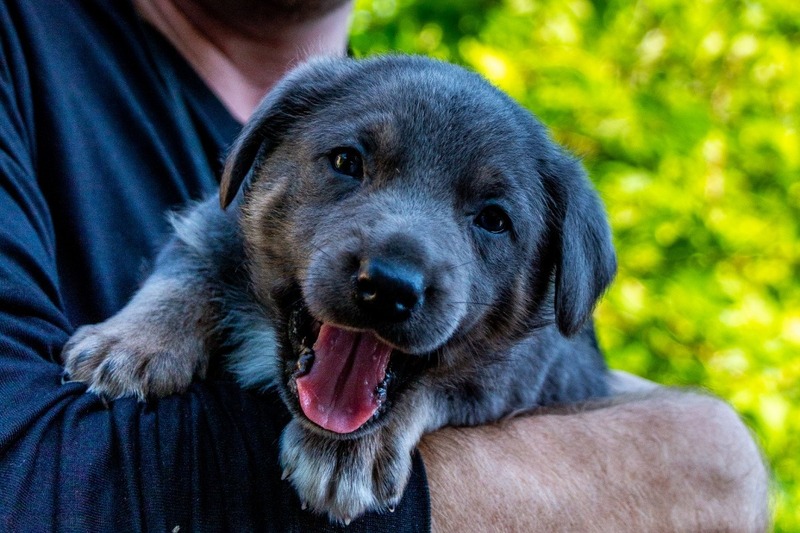 Fundraiser by Clean Futures Fund : Save the Dogs of Chernobyl! We need your help to save the Dogs of Chernobyl! 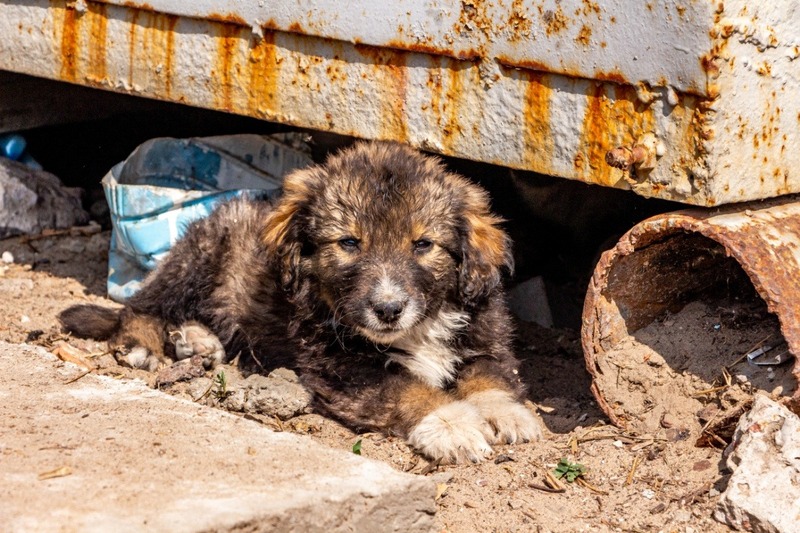 This GoFundMe campaign has been established to help nearly 1,000 stray dogs living at the Chernobyl Nuclear Power Plant in Ukraine and the 30-kilometer exclusion zone that surrounds it. Every dollar counts, WE MEAN IT, each and every $1 donation matters! Even if you can’t make a donation, please consider sharing this campaign with your friends and family. Every share makes a very real difference in the lives of these animals. The Clean Futures Fund (CFF) is a U.S. 501(c)(3) non-profit organization established by Erik Kambarian and Lucas Hixson to support workers and communities affected by industrial accidents and long-term cleanup programs. 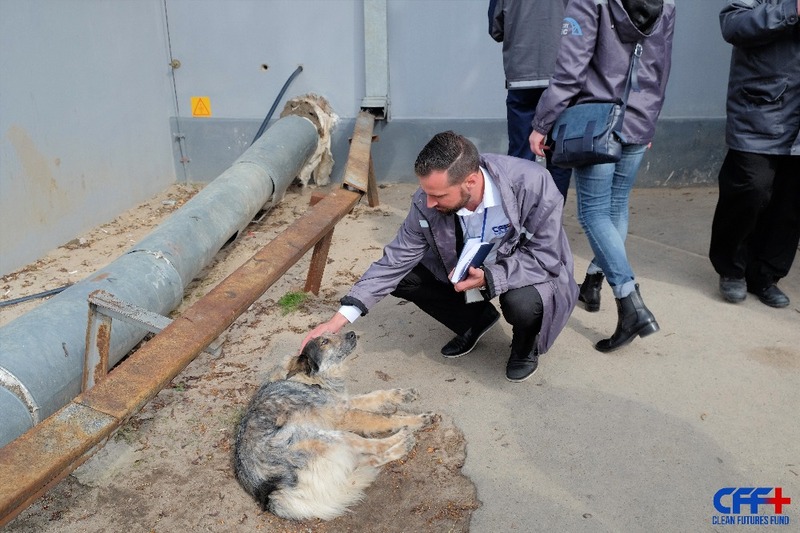 CFF has partnered with the Chernobyl Nuclear Power Plant and Chernobyl Exclusion Zone Management Agency in Ukraine to provide medical care for the stray dogs that live in the area. 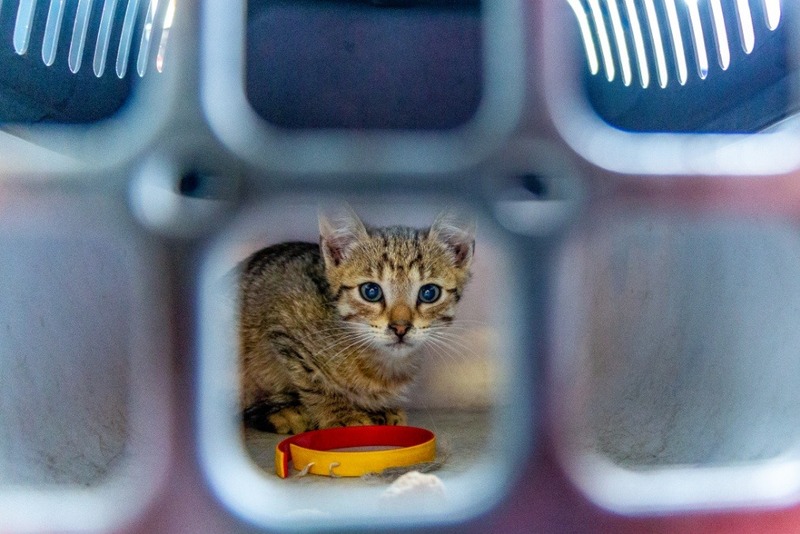 We need your support to hire Ukrainian vets, purchase vaccines, anesthesia, cages, dog food and medical supplies, to set up a temporary hospital to conduct our spay/neuter operations, and to help manage and take care of this abandoned population of animals. Since 2017, the first year of the Dogs of Chernobyl program, we have treated over 850 stray cats and dogs. In 2018 we were also able to rescue and adopt over 40 puppies. In 2019, we look forward to continuing our efforts to help these abandoned animals. Many people think of Chernobyl as a post-apocalyptic wasteland, but there are thousands of workers at the nuclear power plant and hundreds of stray dogs that live in the surrounding areas. These animals are largely the descendants of pets of people who were evacuated after the nuclear disaster in 1986. In the early morning of April 26th, 1986, there was an accident and catastrophic explosion of the number 4 reactor at the Chernobyl Nuclear Power Plant in northern Ukraine. 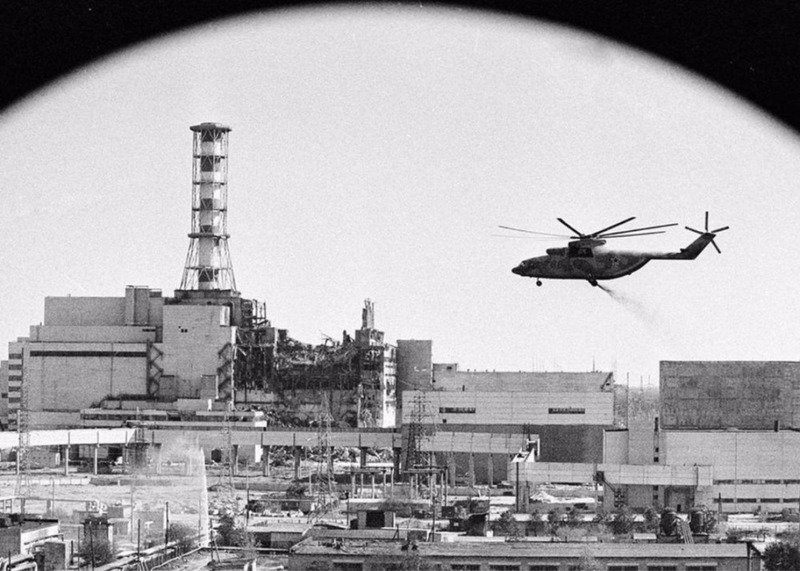 Radioactive materials quickly spread into the environment, forcing officials in the former Soviet republic to evacuate over 120,000 people from nearly 200 cities and communities around the power plant. By May, the Soviet military had established a 30-kilometer exclusion zone around the stricken plant. The displaced were told that they would only be gone a few days. Government officials knew this wasn’t true, but it was the only way to get evacuees to leave in an orderly fashion. Pets were not allowed to be taken, instead they were abandoned - their owners never to return. After the evacuations were complete, soldiers were dispatched to shoot and kill the abandoned animals. Not all of the animals were culled. 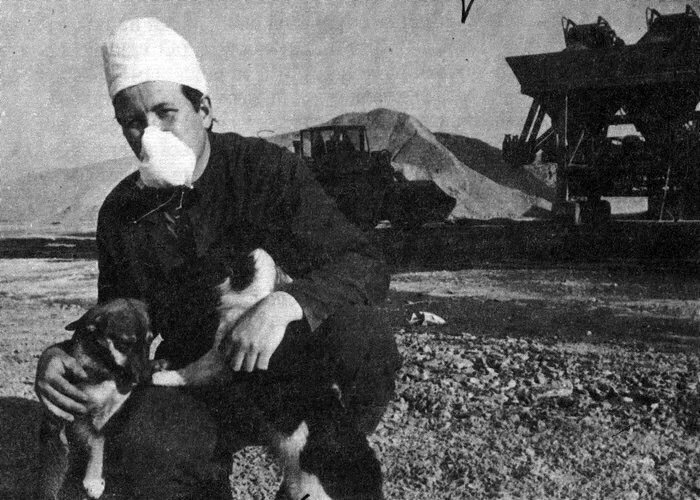 The remaining pets, left to the wild, began migrating to areas of the zone where cleanup workers, often called liquidators, worked and stayed during the battle to contain the nuclear catastrophe. The photo above is one of the oldest photographs we have been able to find of the Dogs of Chernobyl. The photo depicts two young puppies who had already migrated to the Chernobyl Nuclear Power Plant within a few weeks of the disaster. Even today, the descendants of dogs abandoned after the nuclear disaster in 1986 are driven out of isolated areas by wolves and other predators, arriving malnourished in populated areas scattered throughout the zone. The dogs at the Chernobyl Nuclear Power Plant are generally very young (over 90% estimated to be 3-5 years or younger). New litters of puppies are born year round. Many of the puppies born after October every year will not survive the harsh Ukrainian winter without assistance. 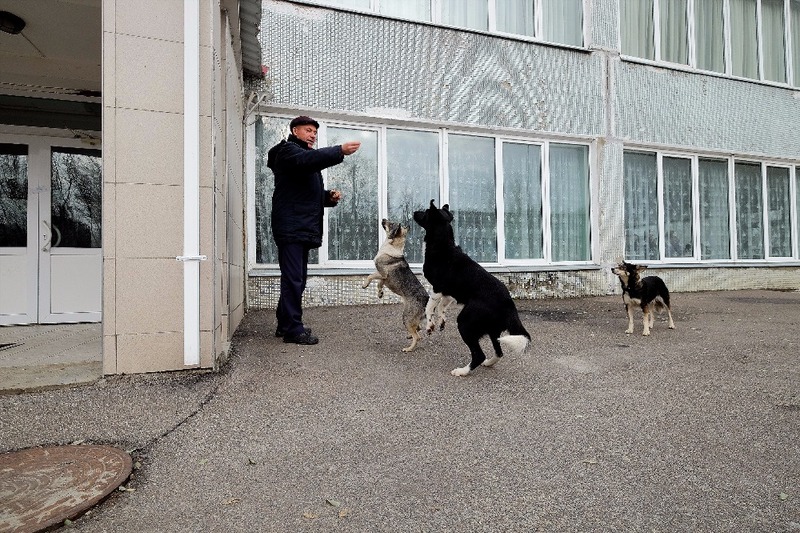 Over the years, workers at Chernobyl and in the surrounding exclusion zone have attempted to care for these homeless animals - even though it is technically illegal and puts them at potential risk. It is not uncommon for workers to feed the animals or tend to one that is injured. 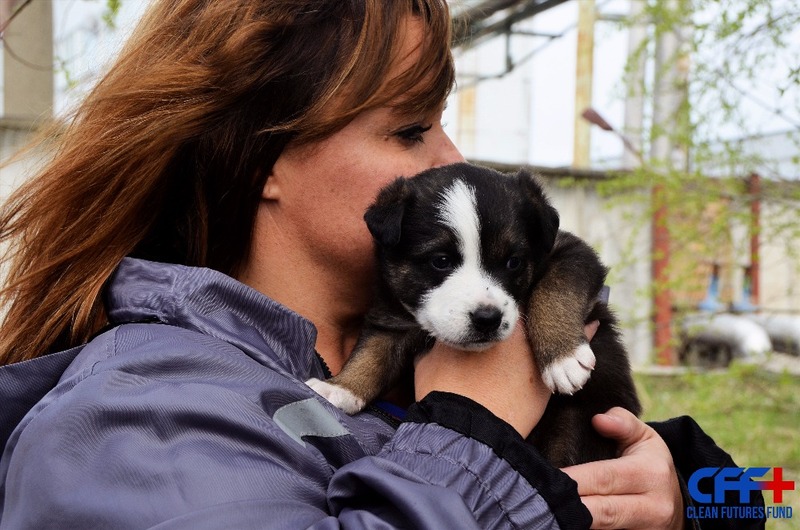 One woman at the Chernobyl Nuclear Power Plant has been buying temporary sterilization shots out of her own meager salary in the spring to try to stem the flood of new puppies every year, but she cannot afford enough shots to make a real difference. Over the last ten years, a resurgence of tourism into the exclusion zone has increased the amount of human contact and interaction with these animals. While human interaction is good for the animals and for the workers, it also carries considerable risk. The dogs have been exposed to rabies by animals in the exclusion zone, including the packs of wolves that claim the surrounding areas. Ukraine receives its rabies vaccine for humans from Russia, but has not been receiving an adequate supply for nearly 5 years because of the breakdown of relations and the ongoing conflict with Russia in Eastern Ukraine. The problem with feeding the dogs is that the first thing they want to do after eating, is breed – continuing the proliferation of young puppies in the zone. 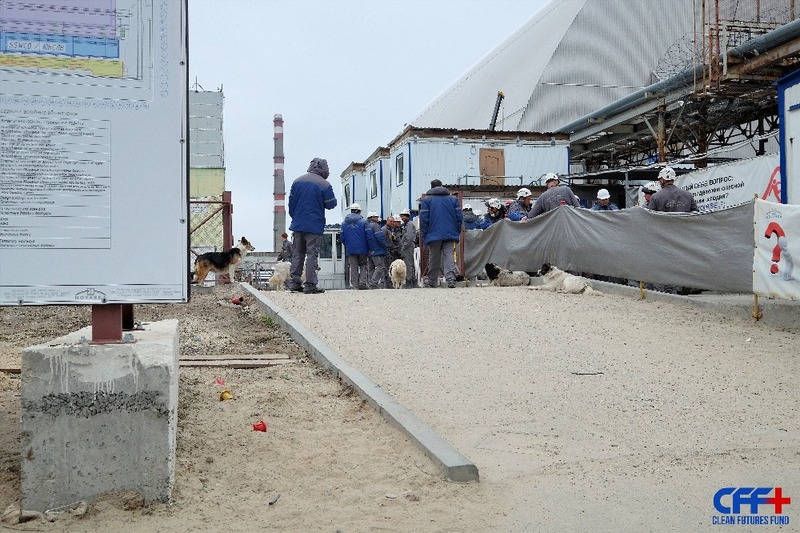 Out of desperation and economic restriction, a worker has been assigned to cull the stray dog population around the plant. For the time being, CFF has negotiated a more humane solution to managing the stray animals with our spay, neuter and vaccination program. We need your help to avoid this unnecessary and inhumane outcome! In 2016, CFF developed a 5-year program to spay, neuter and vaccinate the stray dogs of Chernobyl. This initiative is designed to reduce the risk of human exposure to rabies from coming into contact with the dogs as well as provide basic vaccinations and medical care for these furry friends. Every summer through 2021, CFF will dispatch a team of experts (who have donated their time) to Ukraine to partner with 3-5 Ukrainian veterinarians, dog handlers, veterinary technicians and over twenty volunteers to spay, neuter, vaccinate and provide basic medical care for as many of the stray animals in the zone as funding allows. CFF has partnered with the University of South Carolina, Worcester Polytechnic Institute and a group of organizations in the United States, Great Britain, Germany, and Ukraine that are willing to assist in supporting the Chernobyl dogs program in a variety of capacities. As you can imagine, this is not your typical spay/neuter and vaccination campaign. Special care and handling will be taken during the capture, holding and release of the animals to ensure that all risks are properly managed. 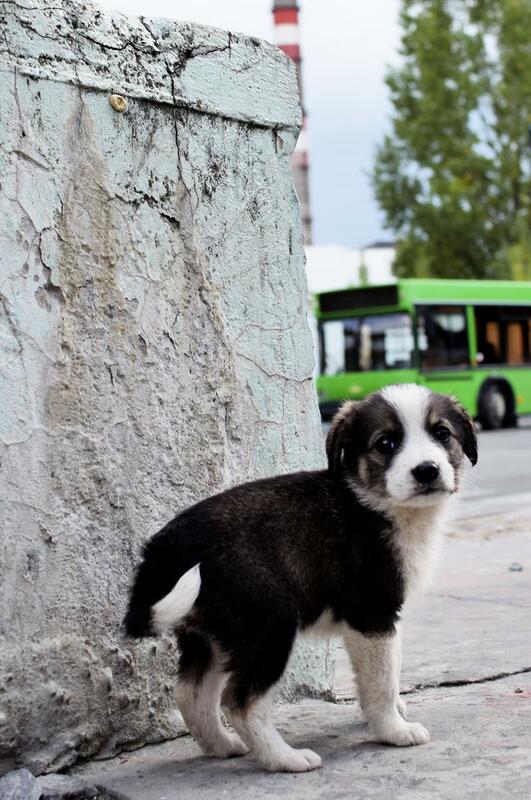 We need your help to purchase the necessary supplies, medicines, to hire qualified vets, and ultimately to provide a better life for the stray dogs of Chernobyl. How can I follow your updates? We provide regular updates on our social media and have also created the #dogsofChernobyl campaign hashtag. 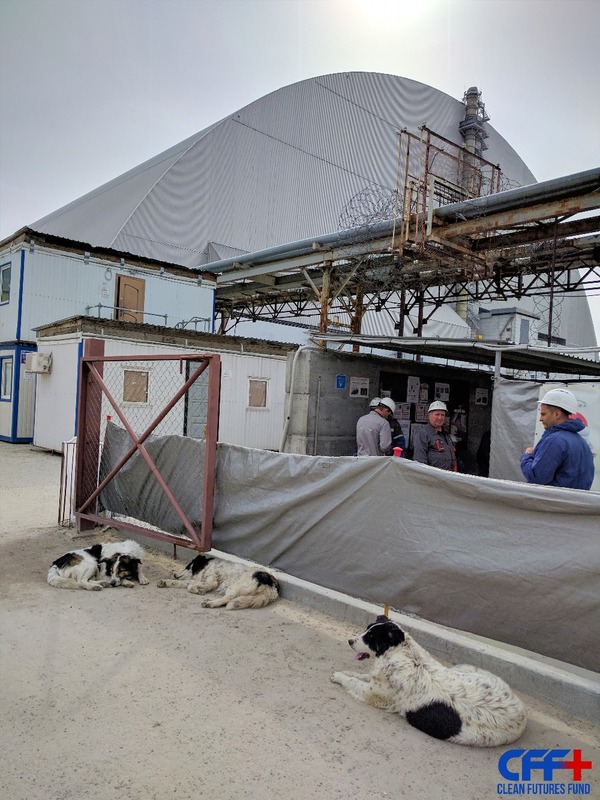 In April, 2017, we conducted an on-site survey of the stray dog populations at the Chernobyl nuclear power plant and the surrounding 30-kilometer exclusion zone. Our estimates are that over 225 stray dogs live at the nuclear power plant and over 750 stray dogs live in the exclusion zone. Where do you find the dogs at the power plant? You can find stray dogs nearly anywhere on the power plant site, even in the controlled areas. Why is it necessary to spay, neuter and vaccinate? Life is hard for the dogs of Chernobyl. They don't have adequate supplies of clean food and water. The majority of their diet consists of vegetative matter and berries that they find in nature. When the dogs are fed by workers or by tourists, the first thing they do is go breed and worsen the stray dog problem in the area. It is important to vaccinate them to ensure that they do not pose a potential threat of rabies exposure to humans. After the dogs are spayed, neutered and vaccinated, regular feeding programs and medical care can be provided for these abandoned animals. The local environment is not friendly to the animals and there is no one to care for them. It is not uncommon for a dog to be hit by a vehicle while dashing across a road, or to be caught in a trap meant for wolves, or to suffer some other kind of injury. During our time on-site we have observed many different kinds of injuries including prolapsed wombs, injuries from fighting with other dogs, injuries from being attacked by wolves, broken bones, flesh wounds, etc. We will try to treat as many of these medical issues as possible during our time in the zone. If funding allows we would like to hire a Ukrainian vet to monitor the dogs full-time. Where will you conduct your activities? We would not be able to help the dogs of Chernobyl without the full support and cooperation of the Chernobyl Nuclear Power Plant administration and the Chernobyl Exclusion Zone Management Agency. Both organizations have given us facilities which we will be able to convert into temporary veterinary field hospitals and retention areas for monitoring the dogs after surgery. Clean Futures (CFF) is a non-profit organization in the United States that is committed to supporting workers and communities affected by industrial accidents. 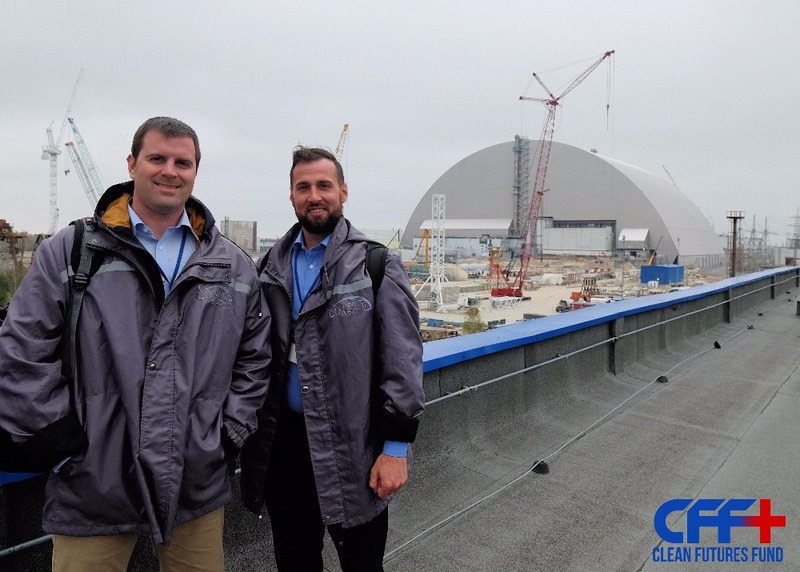 For the last 4 years, CFF co-founders Erik Kambarian and Lucas Hixson have been travelling to the Chernobyl nuclear power plant as part of an international vocational delegation. During their first visit to the zone, they were shocked to discover the large population of stray dogs and puppies that live at the power plant and in the surrounding exclusion zone. The veterinary program is led by Dr. Jennifer Betz. Dr. Betz, received her degree from Auburn University College of Veterinary Medicine in 1997. For the last seventeen years she has owned and operated a veterinary clinic in Portland, Oregon. She devotes her spare time to reducing animal suffering through participation in spay/neuter projects at home and abroad. Dr. Betz acts as a forensic veterinarian for the ASPCA Field Investigations and Response Team as well as an animal cruelty investigator and teacher. In times of crisis Dr. Betz has been deployed as a federal employee for the National Disaster Medical System Veterinary Response Team. Even if you can’t make a donation, please consider sharing this campaign with your friends and family. Every share makes a very real difference in the lives of these animals. Above is a video produced (in Russian) by the Chernobyl Nuclear Power Plant about the Clean Futures Fund inspection of the stray dog population in April 2017 and the Dogs of Chernobyl program. When we first started putting together the Dogs of Chernobyl program in January 2017, I don’t think we ever could’ve predicted all of the challenges, twists and turns that we would have to overcome to achieve our mission. Here we are in January 2019, getting ready to head into the third year of our five-year program and we couldn’t be more proud of all of the things that we have achieved. 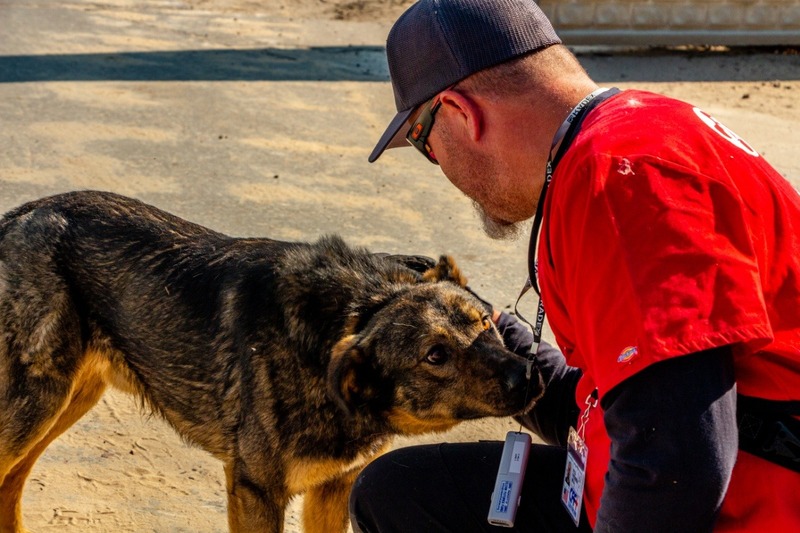 The main goal of the Dogs of Chernobyl program is to provide humane management for the nearly 1,000 stray animals that live in the affected areas around the Chernobyl nuclear power plant. During the 2017 and 2018 programs, we have treated over 850 stray cats and dogs, thanks to the support of all of our followers and donors. We couldn’t have done it without you. Clean Futures Fund is a small organization, we don’t have a huge mailing list of donors, we don’t have a large marketing agency that helps us reach around the globe. We are just a group of focused individuals who care about accomplishing the mission. Every dollar, every share on social media, every e-mail counts! Many things have changed over the last two years, many new dogs, many new volunteers, many new challenges, but one constant has remained the same and that is our partnership with SPCA International, and we couldn’t be more grateful for their support and dedication to the stray Dogs of Chernobyl. Our goal for the 2019 program is to spay and neuter and vaccinate over 500 animals in 2019. This is a huge amount of work to undertake and will require all of our experience and dedication. We need to purchase medicines, vaccines, medical supplies, food, dewormer, microchips and other materials. We need to add additional holding areas for these animals to be monitored before and after surgery. We need your support to be able to get these materials so that the dogs can be well taken care of. 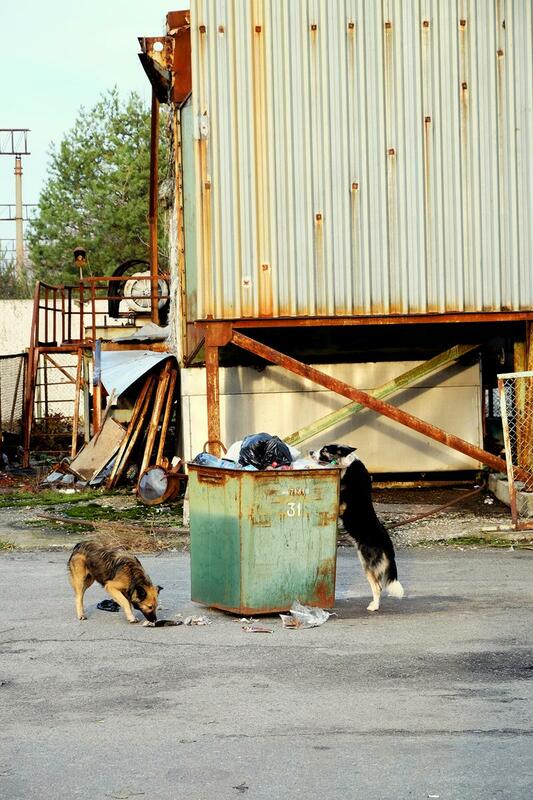 As we have pointed out before, the stray Dogs of Chernobyl rely on human interaction to survive. Without food and water provided by workers and tourists, they would be unable to live very long at all. This is one reason why our vaccination program is so important – to preserve this important human/animal relationship and make sure that there is no risk of the transmission of disease to the animals or to the people that love and take care of them. Every year, we have to examine and revaccinate all of the dogs, even dogs that were sterilized in previous year. We microchip each animal and are able to track the care that they have received over the years. In the last two years since we started the program, we have seen a huge change in appreciation for the animals. Maybe one of the easiest areas to see this is with the tour companies and tourism. In 2017, tour companies would warn tourists not to interact with or pet the stray dogs, but if you go on a tour or visit the tour company’s websites, now they encourage visitors to bring food for the animals and proudly feature images of their “puppy friends” on social media. All of these changes are improving the quality of life for these abandoned animals and wouldn’t be possible without your support. We couldn’t have done this work without the dedication and hard work of nearly 100 volunteers that have given their own time and resources to travel to Ukraine and help us achieve such great success. In the last two years we have been blessed to host volunteers from the USA, Ukraine, Great Britain, Germany, Austria, Japan, Australia, Switzerland, Romania and Canada. We are very proud to give experience to veterinary students and veterinary nurses and technicians that have great clinical experience in developed countries – but haven’t had the critical experience of working in the field in austere conditions – where the ability to make decisions quickly under pressure can mean all of the difference for the animal we are treating. 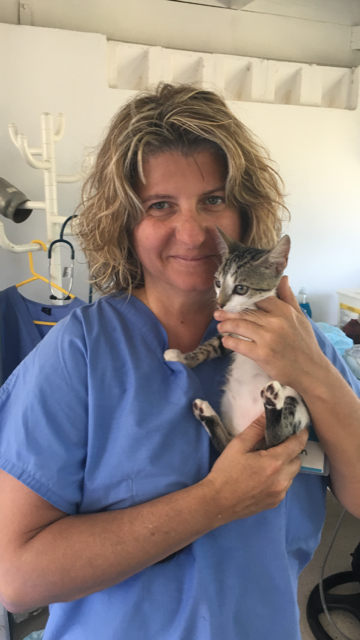 The volunteers have soaked up this experience and taken it back with them into the clinics that they work at and used it to provide better care for animals around the world. 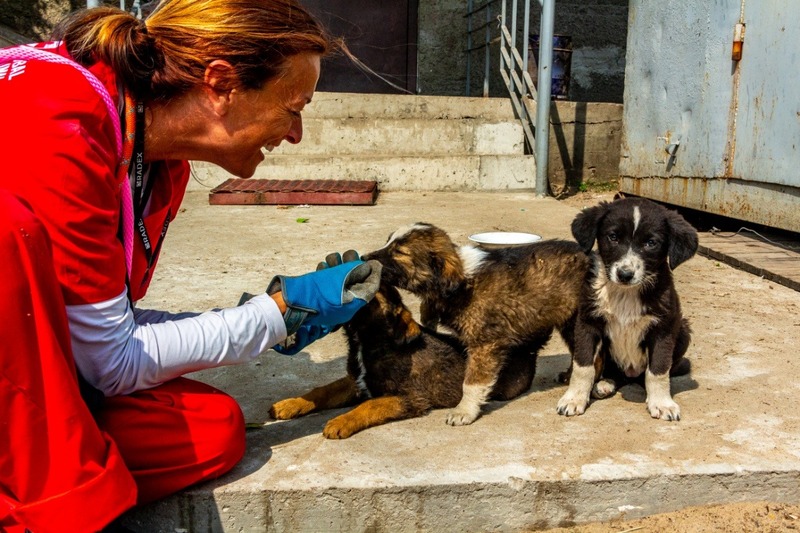 The Dogs of Chernobyl program wouldn’t be as strong as it is without the leadership and experience of our head veterinarian Dr. Jennifer Betz. Dr. Betz has over 20 years of experience and has led spay and neuter clinics around the world. We are truly fortunate to have her guiding the veterinary aspects of this program. One of the big challenges that we face is catching stray dogs in the Exclusion Zone. There are so many different types of environments that we have to work in, busy industrial work sites, wide open fields, and abandoned urban landscapes. Each one of these environments provides its own unique difficulties. We are proud of the dedication of our catching teams, who take such great care when handling and transporting the animals. The love and attention they show help keep the animals from being stressed and set the tone for the rest of the clinic. Inside of the clinic, this care and love for the animals is continually shown. We often hand transport animals from station to station, many of our volunteers pay special attention to scared animals and puppies to make sure that they are not stressed and feel the love that they so much deserve. The experience of our veterinarians and volunteers have saved lives, both inside and outside of the hospital. Dr. Anna Sovtus from Ukraine has spent hours fixing bite wounds from predators on the necks of some of the stray dogs – where wolves are known to grab on and try to catch the animal. Dr. Rebecca Dobinson from Great Britain spent the better part of 6 hours removing over 4 pounds of foreign objects from the stomach of one dog that had eating a variety of bones and plastic that was damaging its intestines and would’ve killed it if immediate medical action had not been taken. These are just a few of the things that we have seen in the last two years. It is always difficult to get the supplies and medicine that we need inside of the 30-km exclusion zone, due to the strict controls and overlapping layers of government authority (8 different government agencies have some influence over different areas in the Exclusion Zone). Without our Ukranian volunteers, this would be a nearly impossible ocean to navigate. Every year, they work tirelessly to help find the supplies and medicines that we need and help get them delivered to our veterinary hospitals where they are used. The workers at the Chernobyl nuclear power plant and people in Ukraine are so grateful for this program and that you have helped to support it to provide all of this care for these animals. They can now understand that they are not alone, that they have not been forgotten and that there are still people around the world who care. We hope that you will continue to support the Dogs of Chernobyl program and these abandoned animals. Any donation helps, and if you are unable to donate at this time, please share this with your friends, family and on social media. This work is changing the lives of the dogs as well as the perception of stray animals around the world. We are forever thankful for your support and donations from the bottom of our puppy-loving hearts! At some point would it be possible to get some of these dogs out. There are some great rescue groups in the US and elsewhere. Right now I'm rescuing cats and dogs in Costa Rica. Just brought back 7 cats. Hopefully something to think about. Thank You for everything that you are doing. Hi guys Love this project and will for sure donate some time. Is there any chance for adoption of a dog? We conducted a cat clinic in the worker town of Slavutych on a Saturday during our 2017 operations and it was a great success. Is there a way a veterinary technician can volunteer with this program that is outside the team that the Ukraine veterinary team put together? URGENT! Chernobyl dogs need urgent help! They are only alive because of workers and they will die of hunger because yesterday, 10-10-2018, the Radioprotection Department from Chernobyl nuclear power plant BANNED workers from feeding and helping dogs. Threatening with dismissal! That is cruel! Please help the Chernobyl dogs and stop this, inform about your work: ''Chernobyl Dogs Project'' clarifying the Radioprotection department and promote their adoption. Can these dogs be adopted? Once vaccinated what keeps them from finding a home? Is any of the donations going towards foor, blankets or shelter for the animals? I love dogs so much and I remember hearing about the dogs via an instagram post. I'm so glad they are receiving the care and love they deserve. I may not have a lot of money right now but I hope this helps. Thank you for all the important and caring work that you are doing. Am so happy and grateful to be giving this donation to express my love for these deserving pups and my concern for their well-being. Thanks for everything you do to help these oh-so-deserving dogs!